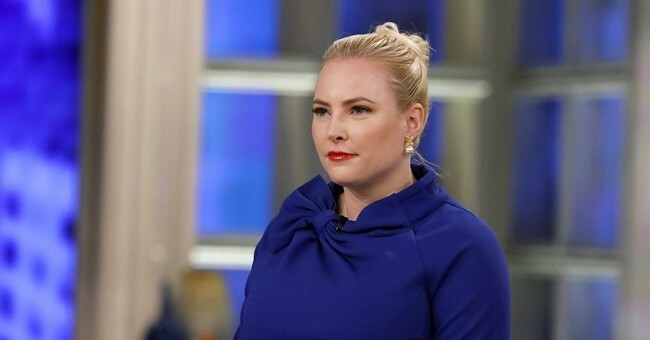 On Monday, Meghan McCain told her fellow co-hosts on “The View” how she believes Republicans would have reacted to if President Barack Obama had missed an event to honor American veterans. McCain made the comparison after President Donald Trump’s trip to visit an American cemetery to honor World War I casualties was canceled while he was in France. McCain said she would have certainly been upset at Obama had done so. “We should be intellectually honest here at this table that if President Obama had missed Veterans Day or missed the Armistice ceremony in France for the 100th anniversary of World War I, my head would have exploded right here on this table in front of all of you,” McCain said. “I think there’s this whole collection of sort of disrespect towards the military and towards our veterans and towards our history that I don’t know if he’s aware how intense it is for those of us who still respect our legacy, who still respect the military,” she explained. “We can’t be gaslit into thinking this is normal, especially as conservatives, because, again, if President Obama had done this, I would be screaming bloody murder,” McCain added. "my head would have exploded"
The White House had stated the decision to cancel the trip was made for safety and logistical reasons. Because of the last-minute logistical challenges and because Trump did not “want to cause that kind of unexpected disruption,” the decision was made to not go.